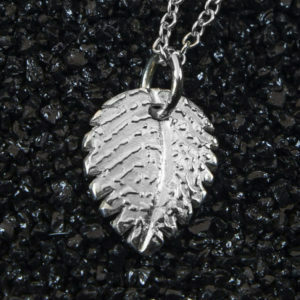 This eye catching and modern baby handprint jewellery pendant can be hung as a single pendant or a double pendant. 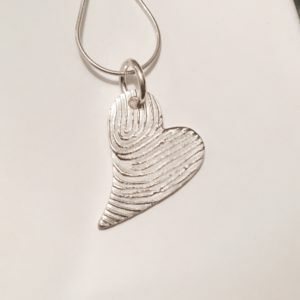 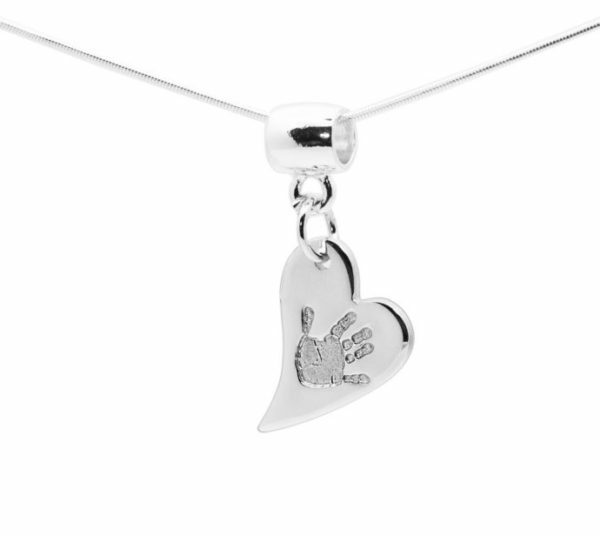 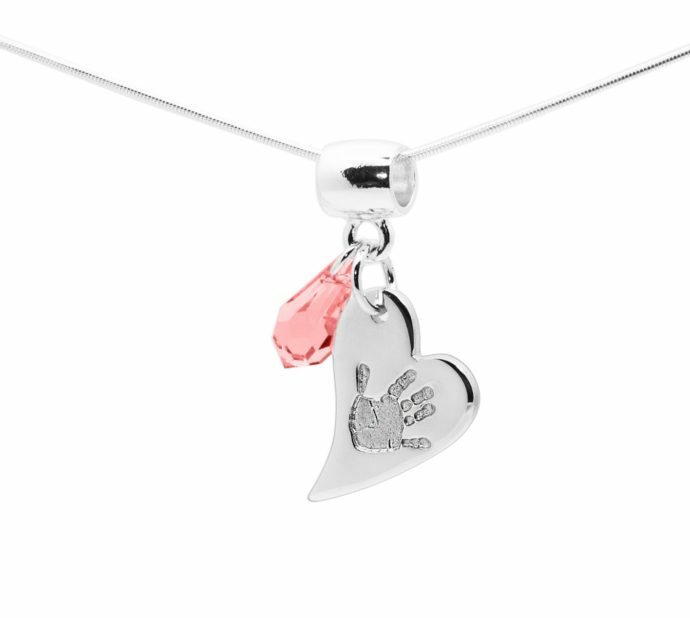 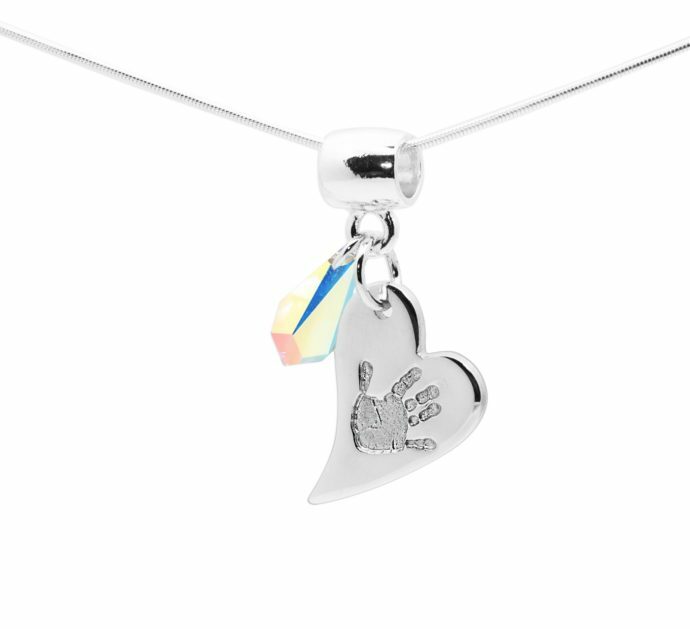 If you have two young children you can have each of their hand or footprints on two pendants, or if you have an older child you could request a fingerprint pendant to be hung behind the handprint. 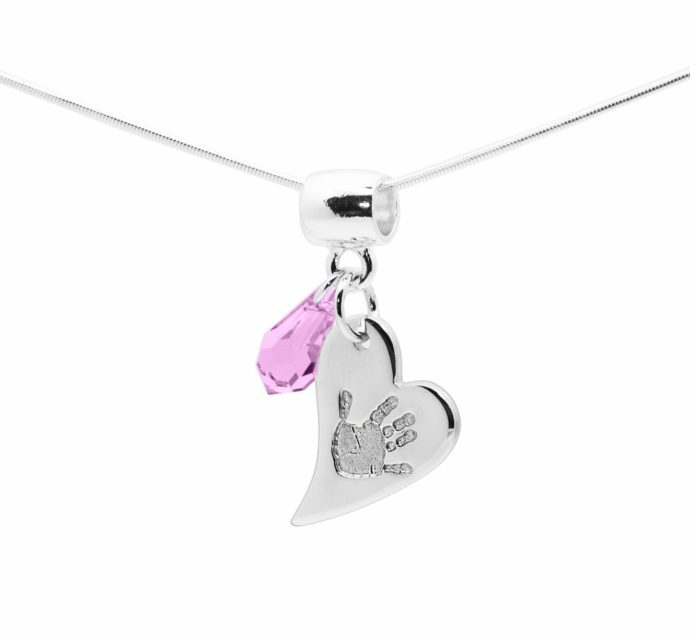 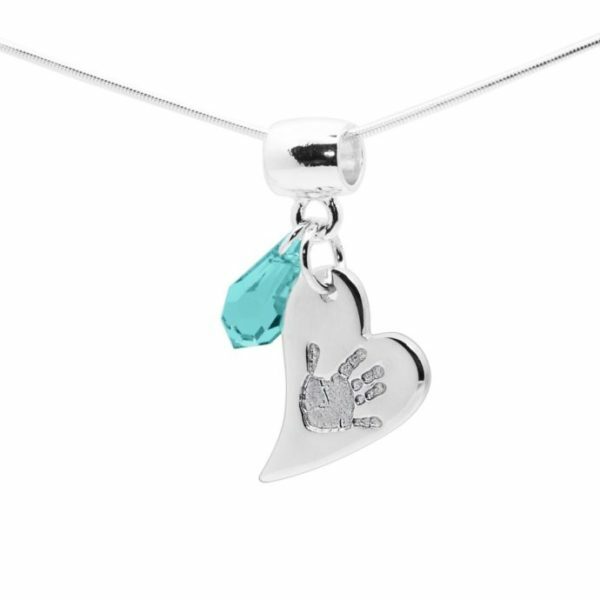 We engrave names on the reverse of each handprint pendant free of charge and if you’d like a Swarovski gem colour that you don’t see on our website, please get in touch and we’ll try to source the colour you prefer. 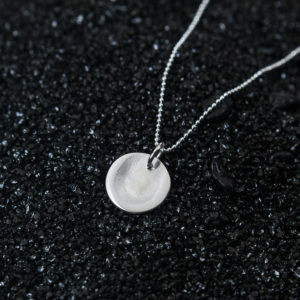 If you have an impression kit from a previous order select “none” below and then add that in the comments when you complete your order. 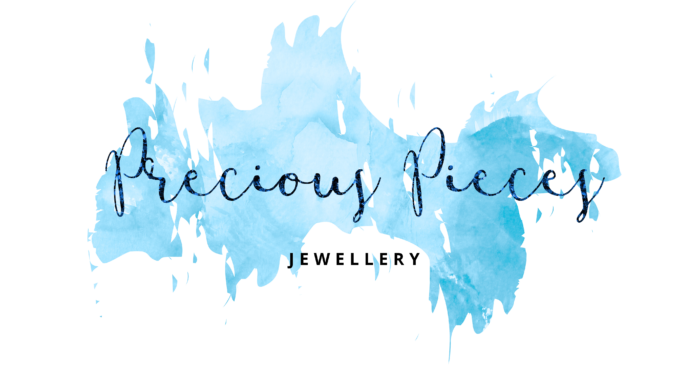 If you’re ordering an Inkless Impression Kit today watch the video below to see how easy it is it use. 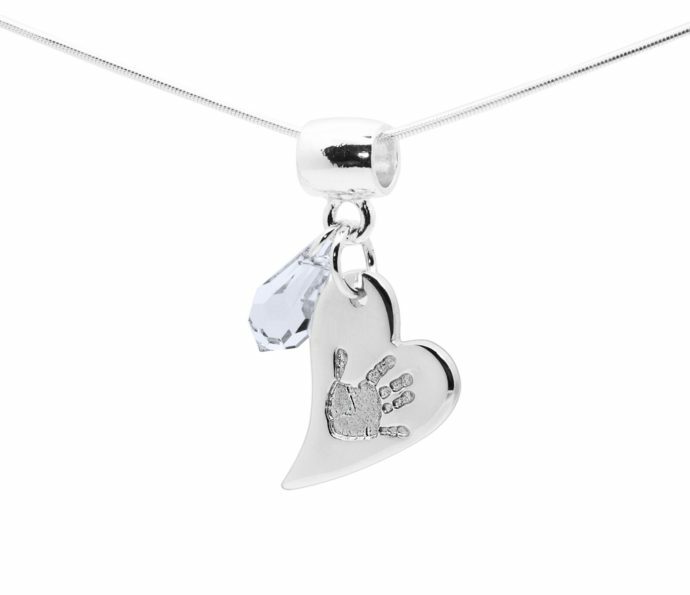 This eye catching and modern baby handprint jewellery pendant can be hung as a single pendant or a double pendant. 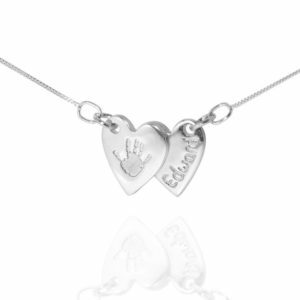 If you have two young children you can have each of their hand or footprints on two pendants, or if you have an older child you could request a fingerprint pendant to be hung behind the handprint.We engrave names on the reverse of each handprint pendant free of charge and if you’d like a Swarovski gem colour that you don’t see on our website, please get in touch and we’ll try to source the colour you prefer. If you have an impression kit from a previous order select “none” below and then add that in the comments when you complete your order.